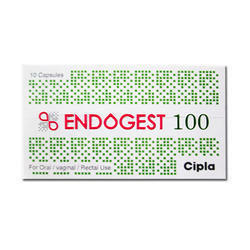 Our range of products include nupatch, revilus, evalon forte, miprogen injection, endogest capsule and progynova tablet. It used to treat pain associated with conditions like Gout, Migraine, Rheumatoid Arthritis, sprains of muscles and joints etc. 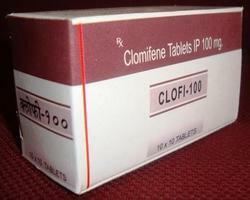 In some cases, it is also used to treat mild to moderate fever. 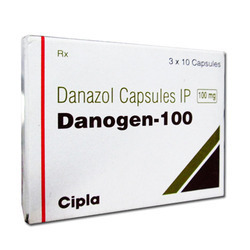 This medication is an essential body mineral, it ensures the adequate supply of calcium to bones. It is a naturally occurring oestrogen. It induces normalization of vag epithelium. 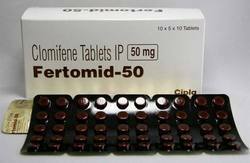 It is claimed to have only a mild proliferative effect on the endometrium. Breast tension or pain, nausea, spotting. Fluid retention, cervical hypersecretion. 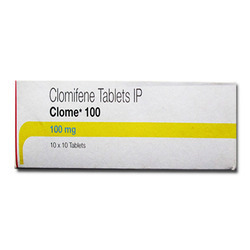 It is used to prevent recurrent miscarriage and maintain pregnancy; to treat absence of menstruation in women of childbearing age and abnormal uterine bleeding; as a hormone replacement therapy in post-menopausal women; to treat premenstrual syndrome and depression following child birth. 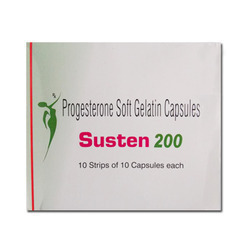 Progesterone belongs to a class of medications called progestins. It is used as a part of hormone replacement therapy to bring on the menstruation by decreasing the levels of estrogen in the uterus and replacing the natural progesterone in women who are lacking. Progynova is a Hormone Replacement Therapy (HRT). It contains the female hormone, oestrogen. Your ovaries gradually make less of this hormone as you get older and will no longer produce it after you have been through the menopause. Progynova can be used in peri- and postmenopausal women. 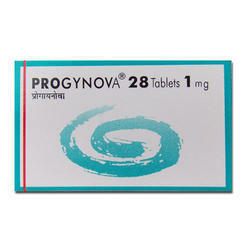 Progynova tablets 2mg contain oestradiol valerate, used to replace the loss of oestrogen at menopause to relieve symptoms of menopause. 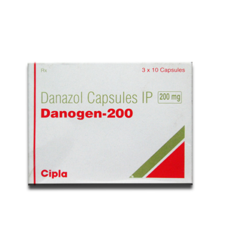 It is used in the treatment of mennorhagia, endometriosis and benign fibrocystic breast disease. Headache, Hoarseness of voice, Increased hair growth, Edema, Breast size decreased, Weight gain, Acne, Hot flushes, Altered libido, Oily skin, Muscle cramp. 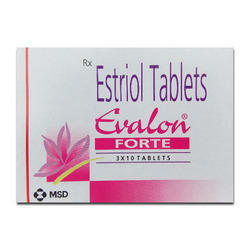 It is used in the treatment of female infertilityand hormone replacement therapy. Fatigue, Sleepiness, Headache, Abdominal pain. 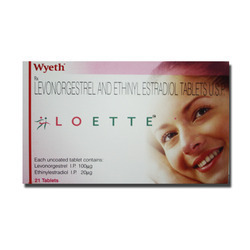 It is an ovulatory stimulant, prescribed for infertility due to anovulation. It increases production of gonadotropins and causes the ovaries to release 1 or more eggs. Common side effects:Hot flashes. Wearing layers of clothes or summer clothes and staying in cool places may help. Ovarian cyst. Headache. Blurred eyesight. Use care when driving or doing other tasks that call for clear eyesight. Upset stomach or throwing up. 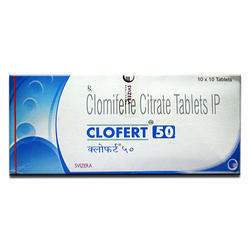 It is used in the treatment of female infertility and hormone replacement therapy. It is used for contraception, post menopausal osteoporosis, prostate cancer, hormone replacement therapy and failure of ovarian development. Headache, Nausea, Mood changes, Change in body weight, Abdominal pain, dysfunction, Breast enlargement, Metrorrhagia, Breast tenderness, Edema, Fibroid. 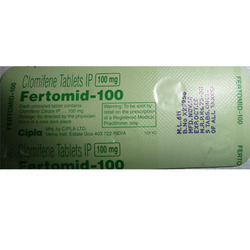 It is used in the treatment of endometriosis and benign fibrocystic breast disease. Nausea, Palpitations, Pleural pain, Liver disorder, Abnormal blood cell count, Abnormal hair growth on a women face and body, Acne, Aggravation of convulsion, Alterations in thyroid hormone levels, Altered libido, Anxiety, Joint pain, Joint swelling, Blood in urine. 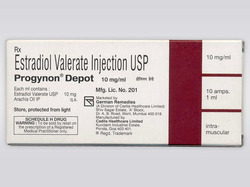 Progynon 10mg vials are a hormone replacement therapy (HRT) used to substitute for the lack of oestrogen production by the ovaries that happens during menopause or following surgical removal of the ovaries, to relieve moderate to severe symptoms of menopause caused by oestrogen deficiency, such as hot flushes, night sweats, sleeplessness, vaginal dryness, headaches, mood swings, lack of concentration and loss of energy. 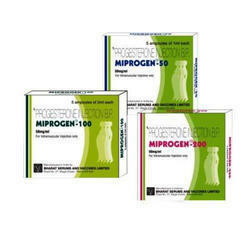 Progynon is also are also used to help prevent postmenopausal bone loss (osteoporosis) and reduce risk of fracture. 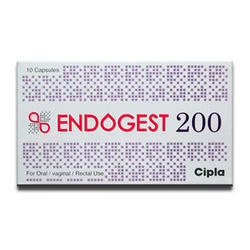 Progynon is used to relieve the symptoms of advanced androgen-dependent carcinoma prostate cancer. 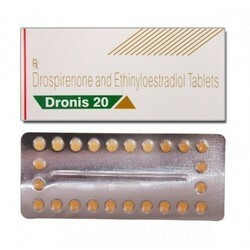 Progynon containing the active ingredient estradiol valerate is a naturally occurring form of the main female hormone that is produced by the ovaries, estrogen. 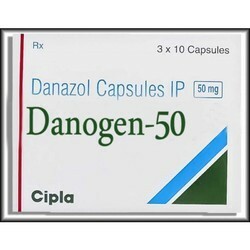 The medication can be used to treat hot flushes or vaginal dryness, itching and burning in women who are experiencing menopause. Young women who do not produce enough estrogen naturally may use it as hormone replacement treatment. Headache, Nausea, Mood changes, Change in body weight, Abdominal pain, dysfunction, , Metrorrhagia, Breast tenderness, Edema, Fibroid. 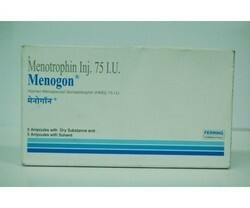 It is used in the treatment of female infertility and male hypogonadism. Headache, Injection site pain, Irritability, Fatigue, Depression, Restlessness. 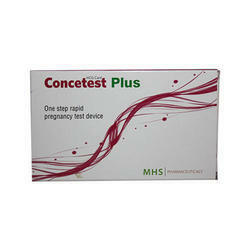 Uses:Concetest Plus pregnancy kit contains a card impregnated with anti-HCG globulin. 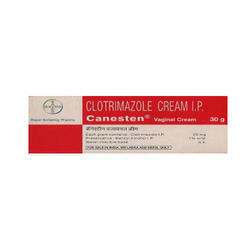 It is used in the treatment of mennorhagia, endometriosisand benign fibrocystic breast disease. 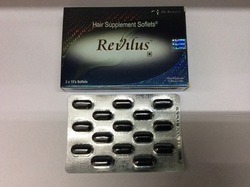 It modulates the action of certain female hormones in the body. 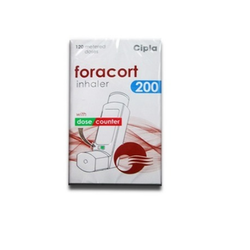 We are highly engaged in offering the Asthma Forte across the pan India. we obligated to meet the quality standards as per the other competitive brand. Hot flashes. Wearing layers of clothes or summer clothes and staying in cool places may help. Ovarian cyst. Headache. Blurred eyesight. Use care when driving or doing other tasks that call for clear eyesight. Upset stomach or throwing up. Indication Female infertility, oligospermia. Steinleventhal syndrome and chiari frommel syndrome. 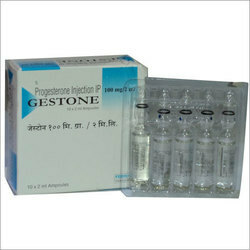 It is used for types of infertility, in women who are not ovulating properly. It works by stimulating the release of eggs from the ovary (ovulation). Nausea, Vomiting, Bloating, Headache, Enlarged Ovary, Hot flushes, Intermenstrual bleeding, Breast discomfort. The Prega News Pregnancy Patch uses a sera reagent that will detect HCG content in a woman’s urine, indicating whether a woman is pregnant or not. These patches use silica granules to absorb the moisture from the urine so the card will be more accurate and the sera reagent will not be spoiled all that easily. This cream is an antifungal. For the relief of vaginal itching, burning and discharge associated with recurrent vaginal yeast infections. 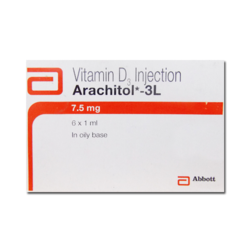 This medication is a synthetic vitamin D analog, prescribed for hypocalcemia in patients undergoing chronic renal dialysis.